Guava Pear Cobbler e-juice by The Creator of Flavor has been one of the most sought-after fruit flavoured e-juice in the entire vaping industry. Enjoy a freshly baked Southern cobbler, stuffed with fat slices of ripe guava and sweet pears, truly a southern favourite. 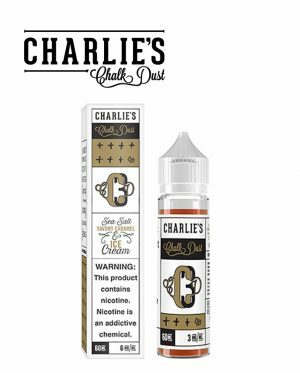 The Creator of Flavor is aptly named, as this delicious e-liquid threatens to knock your vape taste buds back to the beginning of time! What makes Guava Pear Cobbler eJuice by The Creator of Flavor so great? It’s a fruit food fight, and your clouds are invited to give the perfect shadow of cover amidst this all out fruit pastry war! Thick slices of Colombian guava are hurled through the air, only to meet their end in a thick pie crust that quickly weaves a crisscross pattern to trap the flavour within! Fat chunks of soft and grainy Georgia pears prefer a more stealthy approach, but alas! They fall short as well, tumbling into a pie tin and meeting their demise in rows of soft and delicate pie crusts. Can your clouds uncover them in sweet and fruity plumes? Only one way to find out! Pick up a bottle of Guava Pear Cobbler and let the crisp clean flavour of freshly baked guava and pear cobbler wash over you in the sweet-scented clouds! The Creator of Flavor has created a flavour above the rest and strives to create ultimate satisfaction with every puff. 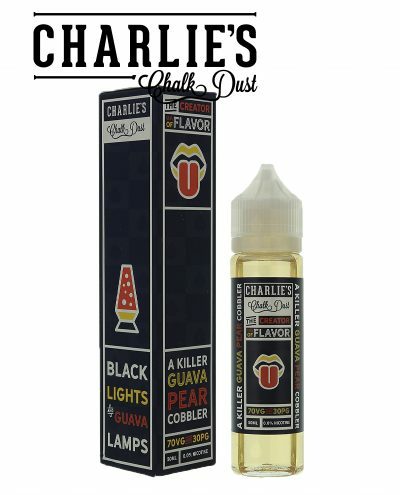 For gentle yet foreboding sweet flavour that satisfies your insatiable dessert cloud cravings, snag a bottle today and keep your tank brimming with rich, smooth, and delightful clouds, compliments of Guava Pear Cobbler eJuice by The Creator of Flavor!